What Is The Correct Genre? timetowritenow on What Did You Do Today? Sally on What Did You Do Today? 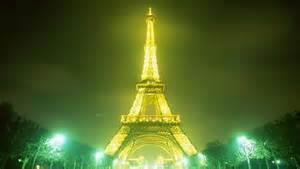 Marian approached the Eiffel tower as her stomach roiled with fear. She moved forward, alert like a nuclear weapon specialist ready to push the button for the next war. She was thankful the lights on the tower illuminated the ground under it. A large crowd of tourists with their cameras stood in line for the elevator to the upper levels. Smells of food cooking in the restaurant above made her hungry. A hot meal would have relieved the damp of the cool night. A man and woman stood alone a few feet away. Her father and Gen, from opposite directions, looked towards the couple. Marian and Gen received the planned nod from her father directed at the couple. The woman had to be Marian’s mother. Marian pretended to be one of the sightseers milling around and edged closer to the man and woman, slipping behind them. The man held something in his hand. A gun? She maneuvered closer, and suspected the object was a remote control device. She had read about them in the mysteries. A bomb’s nearby. The man flashed the object so her father could see it. He in turn revealed the key. Seconds beat along with Marian’s heart as the two men squared off. Suddenly, the man slumped to the ground, a red smear blossoming on the side of his head. The remote flew out of his hand. Marian scrambled to grab it without the fear that it could be a dead man switch. She straightened, met her mother’s abject terror-filled eyes. She directed Marian’s stare to the bulges under her coat. Marian froze. Her vision blurred and all movement appeared in slow motion. Police descended on the scene. A man dressed in protective gear ambled toward them. Marian couldn’t stop her body from shaking while the expert disarmed and unstrapped the vest of C4 packets from her mother’s body. Marian’s mind raced to figure out what happened. Gen must have shot the criminal and Marian’s own instinct made her recover the remote before it hit the ground. Had it landed the wrong way, there would have been nothing left of any of them.